Funding from the Governor's NY Works Initiative Commemorates Park's 40th Anniversary. Bronx, NY - August 19th, 2013 - Governor Andrew M. Cuomo today announced a $5 million investment from the NY Works initiative to fund improvements to Roberto Clemente State Park in the Bronx. The funding complements grants from community partners to develop a new playground and baseball field, and commemorates the Park's 40th anniversary. "Today, to commemorate the 40th anniversary of Roberto Clement State Park, I am pleased to announce the addition of a new playground and baseball field, making this historic Bronx park even more enjoyable for families across the community," Governor Cuomo said. "Roberto Clemente has been a Bronx treasure for decades and these improvements will serve to enhance its landscape and utility for years to come." "I'm excited to commemorate the great role Roberto Clemente State Park has played in this community over the last four decades and welcome the exciting projects that will assure a bright future for this treasured community asset," Rose Harvey, Commissioner of the New York State Office of Parks, Recreation, and Historic Places, said. "An exciting resurgence is underway at this park. Together with Governor Cuomo's NY Works initiative with our partners in the community, we are making Roberto Clemente better than ever." A highlight of the celebration included the opening of new $1.2 million playground installed in the park's Lower Plaza. The playground design incorporates distinct play areas for children 2-5 and 5-12. Highlights include a user-activated spray feature to cool patrons in the summer; a range of climbers, spinners, slides and overhead ladders; and integrated shade and benches to keep the playground safe and comfortable for both children and adults. The playground is funded through NY Works and a $75,000 grant through the MetLife Foundation. The new playground will be the centerpiece of the revitalization of the park's Lower Plaza. Through the NY Works program, New York State is investing $5 million in improvements and major structural repairs at Roberto Clemente State Park. Officials today also broke ground on the next phase of revitalization -- the renovation of the Roberto Clemente baseball field. With assistance of a $100,000 grant from the Baseball Tomorrow Fund, a joint initiative of Major League Baseball and the Major League Baseball Players Association, State Parks will embark on a significant renovation of the field, improving both aesthetics and infrastructure for better drainage, irrigation and player safety. Already one of the few fields with night lighting, the project will create a modernized ball diamond to help develop more programs to teach kids to play ball, and to continue efforts to establish a baseball league for children 6-11. Congressman Charles B. Rangel said, "The new playground and baseball field at Roberto Clemente State Park will be great additions to what is already an invaluable part of our community. These developments are part of the broader revitalization of New York's park system aimed at building family-friendly public spaces for our children to learn and play. I am honored to commemorate the 40th anniversary of the park and look forward to seeing it continue to be cherished." Bronx Borough President Ruben Diaz Jr. said, "Roberto Clemente State Park is a true Bronx treasure, and I am proud to have provided $500,000 in funding from my capital budget this year to help renovate the lower plaza of this facility. This park honors a man who was not only a great baseball player but a great humanitarian as well, and this park's renovation is an excellent way to pay tribute to the legacy of Roberto Clemente." State Senator Jose M. Serrano said, "Roberto Clemente State Park is a beautiful recreational space for families to come together and stay active. It is an honor to celebrate the 40th anniversary of this wonderful park and to reflect on the contributions it has made to enhance the quality of life for members of the surrounding community. This is also a time to celebrate the legacy of Roberto Clemente, and his contributions to baseball and society. As we honor the history of the park and his legacy, we must also ensure we continue to work together to maintain the park for many generations to come." Assemblywoman Vanessa L. Gibson said, "The new destination playground, with its unique play areas for children of different age groups, is a fitting tribute to the memory of Roberto Clemente and a great investment in the health and well-being of countless Bronx families. With its renovation, Roberto Clemente State Park is truly one of the jewels in the Bronx." The improvements at Roberto Clemente are part of a statewide revitalization of the park system. Last year, Governor Cuomo and the state Legislature authorized the NY Works program to provide $89 million statewide to move forward with more than 100 overdue projects to improve 55 parks and historic sites and spur job creation and economic development. This year, a second round of $90 million in NY Works funding is advancing an additional 90 projects to upgrade and repair more than 50 state parks and historic sites across New York. Originally named Harlem River Park, Roberto Clemente opened in 1973 following a project to transform a neglected stretch of the Harlem River into much-needed recreational space for Bronx residents. It was the first State Park in New York City. The park was later renamed after Clemente who was the first Hispanic player and Puerto Rican inducted into the Baseball Hall of Fame. Visited by more than 1 million people a year, the 26-acre waterfront park includes a multi-purpose recreation building, an Olympic-size pool complex, ball fields, basketball courts, picnic areas, playgrounds and a waterfront promenade. 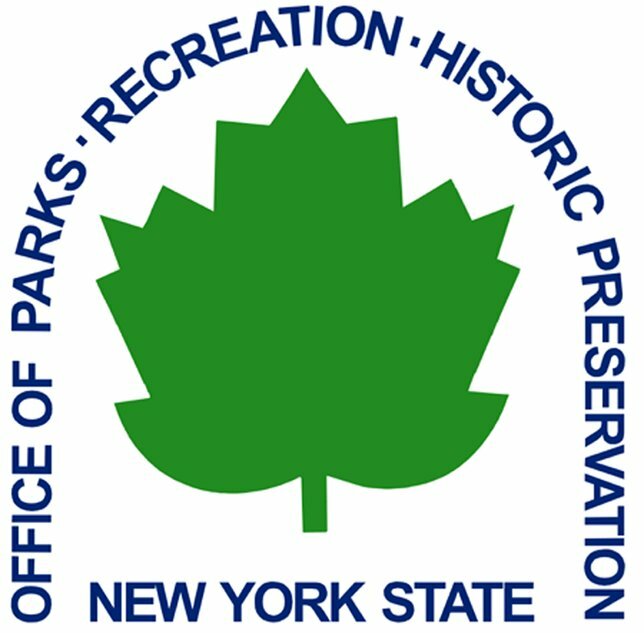 The New York State Office of Parks, Recreation and Historic Preservation maintains and oversees 179 parks and 35 state historic sites. For more information about state parks and historic sites in New York, please visit www.nysparks.com. Governor Cuomo Reminds New Yorkers to Volunteer at State Parks This Saturday for Second Annual "I Love My Park Day"
Subject: LongIsland.com - Your Name sent you Article details of "Governor Cuomo Announces $5 Million to Fund Improvements to Bronx's Roberto Clemente State Park"